Securing finance against the purchase of one of the many residential park homes for sale on the market can seem a complicated and even bewildering task. Understanding this here at Sell My Group, and having listened carefully to the experiences, questions and sometimes confusion expressed by both clients and those working in the park home industry, we have compiled some advice to try and alleviate the stress associated with financing a park home purchase, and most importantly help you to get the best finance package out there. Firstly, it is imperative to make clear the central difference between financing a park home and taking on a mortgage, and why the two differ. Mortgages cannot be secured against park homes. A mortgage is a specific type of finance which is secured against a property’s listing on the UK Land Registry. Hence, mortgages are exclusively applicable to houses, homes and structures which are made of bricks and mortar and bought along with the plot of land upon which they have been built. In contrast to purchasing a ‘bricks and mortar’ home and the land upon which it sits – the freehold, a park home is purchased outright and the land upon which it exists is either separately or (most often) combined in the purchase price of the park home as part of a lease as part of a licence agreement. That is, park home owners do not own the land their park home occupies usually. Rather, they lease the land that the park home is situated on. However, not all land is bought that houses sit on – these are called ‘leasehold’ properties. It is important to understand this distinction between owning and leasing land when purchasing a park home vs. a brick and mortar property because the length of the site lease you purchase alongside or as part of the cost of the park home you are buying will directly and certainly effect and go in some length to determine the terms of the finance you secure to make the purchase. Speaking of what you need to consider when or ahead of seeking finance in order to purchase a park home, it is also important to be aware that park homes are nonstandard, hence there is no standard park home finance package or option out there; suffice to say, when it comes to park homes and financing them, one size definitely does not fit all. The way a park home owner intends to use their property may be taken into consideration by a finance company. For example, whether the owner intends to rent out the park home, live within it permanently or use it solely for holidays, who lives in the park home, how much time it is left uninhabited, if at all, and whether it is being used as a source of income can all effect the terms of the finance a company might subsequently offer, so it is best to be clear and honest about this. Information about a borrower’s personal financial circumstances. 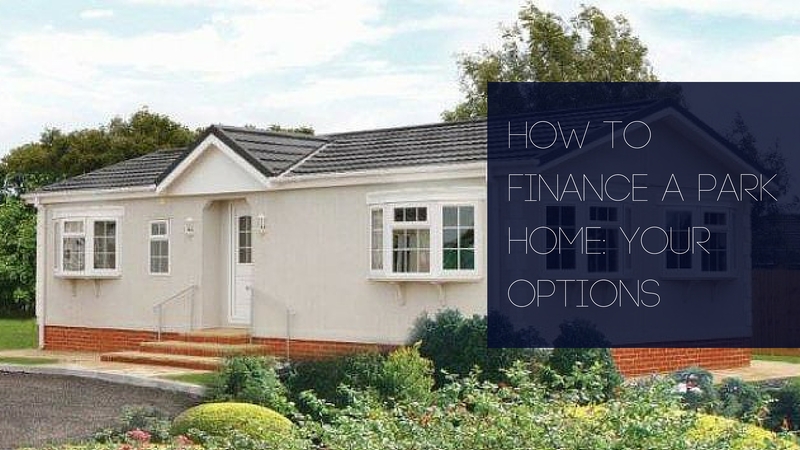 As some park home finance companies are willing to discuss and approve a park home finance application over the phone and so with minimal if any paperwork being undertaken, it is worth keeping information as to your financial situation, savings and related details at hand when speaking with a company. Companies may also require borrowers to undergo a credit check or credit report, which you can obtain via a credit check company. Some credit check companies, such as Experian, charge to use their services, so it is worth opting to use an alternative company, such as Noddle, whose credit check services are not provided free as part of a trail period, but can be used for free for life. Lastly, a finance company who specialise in or offers park home finance will look at the above and possibly other factors not only to determine whether to offer finance to you and on what terms, but as well to better understand what form a finance package might take. That is, some if not most finance companies will either in addition to offering finance on a park home purchase or as part of the package they offer include insurance. Opting to combine insuring your park home, its contents and anything else related to it (for example, you might require cycle cover or desire accidental damage cover etc), is often advisable as it is the simplest way to best protect your purchase. Further, even if insurance is offered by a finance company as an additional extra, taking a company up on the offer could reduce your premiums. Finally, and taking into consideration the information aforementioned, it is consequently advisable that a potential borrower ‘shops around’ numerous finance companies to find the best deal and avoid paying more than they need to. Fortunately, the internet can make doing that relatively easy and stress free these days. Simply searching for park home finance companies via a reputable search engine such as Google and browsing the companies listed in the search results will reveal that there aren’t many finance companies online to ‘request a quote’. It can be useful to make use of company websites with this feature to collect, compare and contrast, and so establish the range of quotes out there and available to you specifically. Further, beginning by searching online also means that it is impossible to be bamboozled into agreeing to a finance option or package or terms you have not had time to properly consider or think about. Finally, speak directly or via phone with companies to discuss the quotes you have collect, what deal (if any) they can offer you and to negotiate the details, before agreeing to any one finance plan. After all, financing a park home might not involve taking out a mortgage, but buying a home of any kind is a massive and so serious commitment and responsibility to undertake and you are likely to be paying for it, financially at least, for a number of years to come.